MN Twin Cities WAKA Kickball: Week 7 Updates - Playoffs are coming! Week 7 Updates - Playoffs are coming! Playoffs are rapidly approaching! Keep your fingers crossed that we'll have weather as amazing as last year, but if not I have another way to keep you warm! 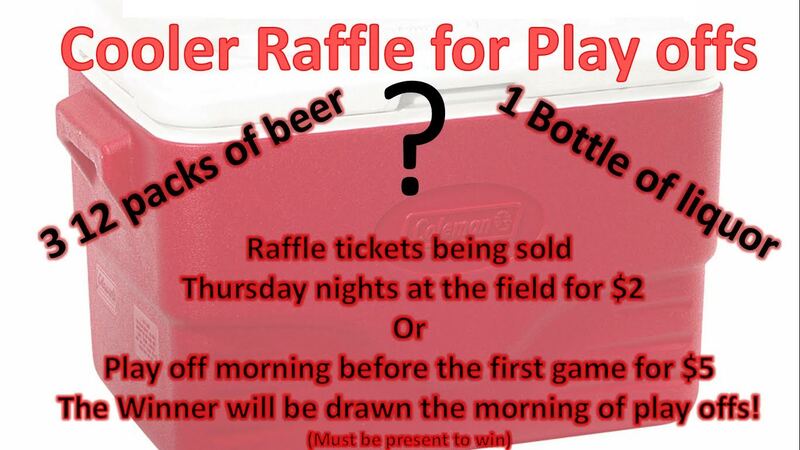 We are raffling off a cooler filled with booze! As always 100% of the earning go to our season charity, Charity Cystic Fibrosis Foundation. I will be selling the raffle tickets at the field and the bar this week and next for $2 and the morning of play offs up until the first game for $5. Get them early and get them cheap! Don't forget this week the theme is Neon and 80s!!! Lets see your bright colors! !